Bibliography: New Hollstein 147 (part 1, p. 126); H. 244 (vol. 8, p. 243). 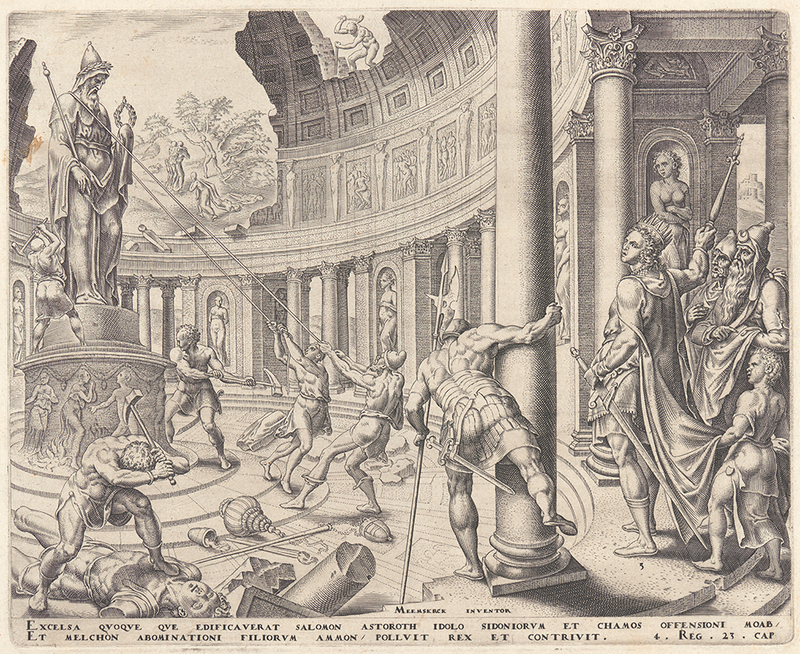 The Destruction of the Temple of Ashtoreth, Chemosh, and Milcom, . From King Josiah Restores the Law of the Land. Engraving on laid paper. First of two states. Plate: 207 x 254 mm (8.1 x 10 in.). Sheet: 279 x 376 mm (11 x 14.8 in.). DAC accession number 1960.30.3.5. Purchase funds, 1960. Open Access Image from the Davison Art Center, Wesleyan University (photo: R. Lee). http://dac-collection.wesleyan.edu/obj5892 is a persistent link to this page with no user-session information.